Illuminate the Gardens is Sheffield's finest Bonfire night event, showcasing the very best fireworks and family entertainment. 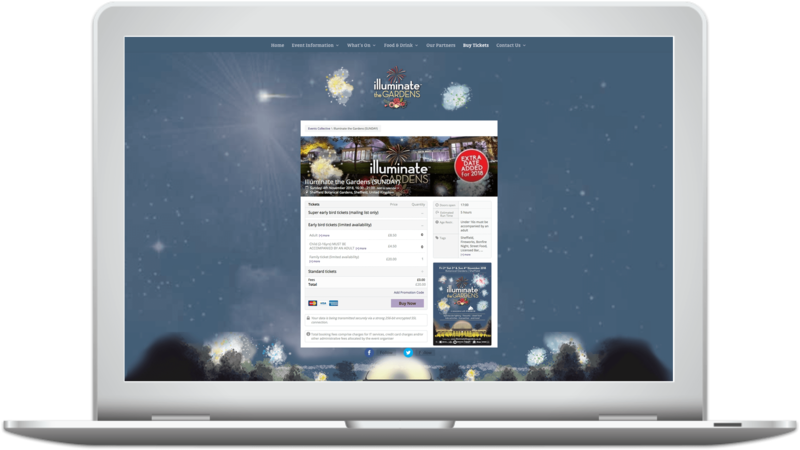 Events Collective, ITG's organisers wanted us to provide a ticketing solution to help sell tickets online for their extremely popular event, Illuminate the Gardens. It was vital that the platform delivered multiple tickets and enabled entry scanning, our event ticketing software was able to provide this and more! This year’s event was a huge success, held in Sheffield Botanical Gardens, running from Friday 2nd until Sunday 4th November with the event selling out on all three dates. Illuminate the Gardens is a unique lighting and fireworks event, with a huge array of activities, street food, a bar, and even vintage fairground rides! This year boasted a range of activities suited to all ages. Guests could let their musical side run wild in the Sound Sculpture Garden, with giant percussion and colourful, recycled instruments. There were plenty of activities to keep little ones amused, like Bear’s deep sea adventure, a glowing UV seascape where kids could create their very own deep sea creatures. Families could enjoy apple chopping and juicing and try some delicious, fresh mulled apple juice. If attendees got hungry, they were spoiled for choice with a massive selection of the very best street food that Sheffield has to offer. Illuminate the Gardens provided everything from Italian street food and fresh handmade pizza from Proove Pizza, to BBQ pulled pork butties and smoked hot dogs from Smoke BBQ and Poutine’s smothered in gravy from The Gravy Train. Guests could then wash it all down at the Illuminate Bar, offering award winnings beers, or at the Beetlejuice cocktail bus with a freshly shaken cocktail. There was a huge selection to ensure that every guest could grab their favourite drink. 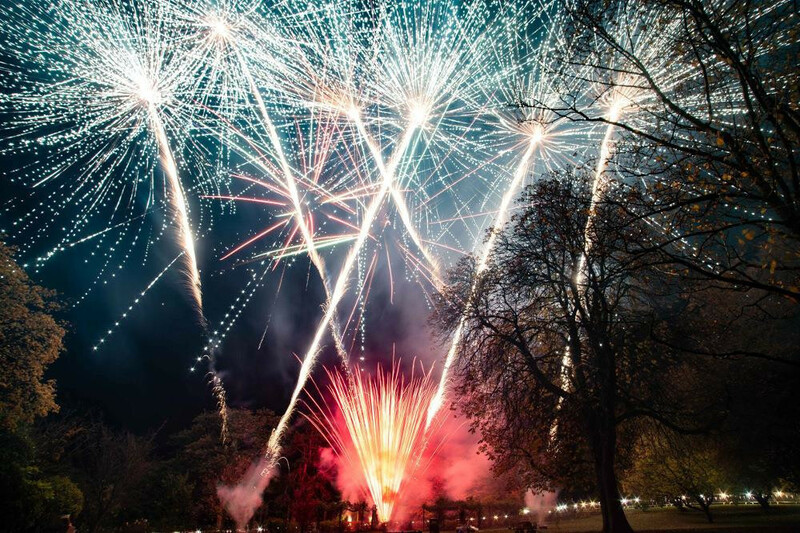 A huge selling point for this event was that they offered a ‘low noise’ fireworks show, perfect for children and guests with special requirements, making the event accessible to all. Illuminate the Gardens needed an exceptional event ticketing software platform to match their exceptional event. This is where Nutickets came in, Nutickets helped to provide custom ticket options based on the specific client requirements. Customers were encouraged to make early purchases with the ‘early bird’ ticket options, offering them a significant saving and securing early attendance figures for Illuminate the Gardens. The Nutickets software created the time-saving option to add a ‘family’ ticket, grouping two adult and two children tickets together to make the checkout process a complete breeze. Nutickets also built a bespoke ticket shop that was completely embedded into Illuminate the Garden’s event website, meaning no redirection to a third-party and allowing them to sell tickets on their own website. This maintained the magic of the event and provided a truly seamless experience. The ticketing process was a fantastic success, with all tickets completely selling out. Congratulations to our client, Events Collective for an outstanding event. We can’t wait to see what’s in store for next year!